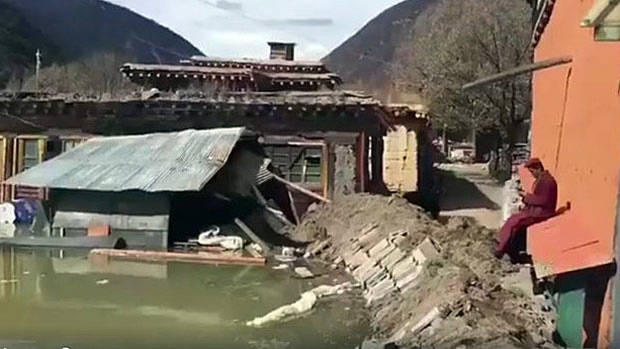 (TibetanReview.net, Nov14, 2018) – The barrier lake formed as a result of landslides over the Drichu (Chinese: Jinsha River) on Oct 11 and again on Nov 3 had submerged a Tibetan Buddhist Monastery in Jomda (Jiangda) County of Chamdo City, Tibet Autonomous Region (TAR), reported the Tibetan Service of rfa.org Nov12. The report added that many of the artifacts of the monastery, named as Polu Monastery, had been ruined beyond repair. China’s previous official media reports said some 25,000 people had been evacuated from the Chamdo side of the affected area where 52 pasture buildings, farms and roads had suffered damages while 25 families’ homes, the township government building, a school and a clinic were under threat. However, the official media reports said nothing about any religious place having been affected or being under threat from the geological disaster. The rfa.org report cited a local source as saying, speaking on condition of anonymity, that all efforts to protect the monastery, including by building a fence around it, had failed. “Now there is nothing we can do, and all that is left is to try to rebuild it, and we are appealing now to everyone to help us do this,” the source was quoted as saying. 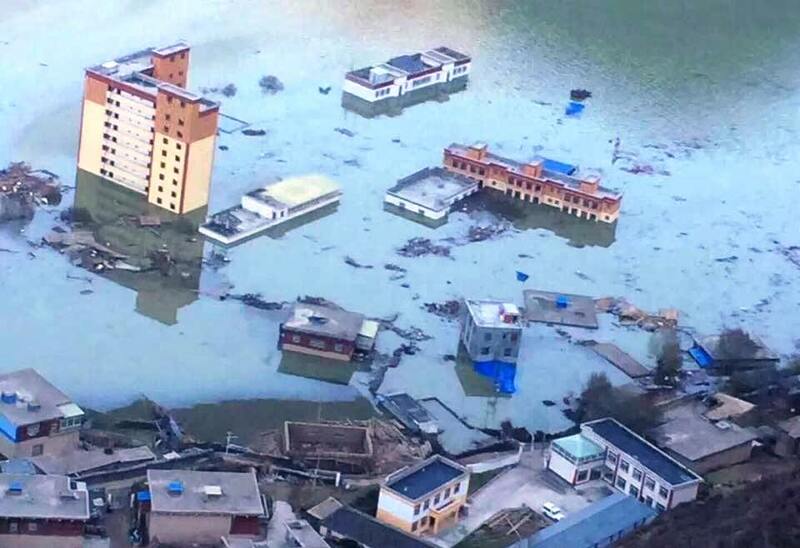 Meanwhile, China’s official Xinhua news agency reported Nov 13 that by 6 am, a total of 67,449 people had been relocated in TAR as well as Sichuan and the neighbouring Yunnan provinces as a precaution against flood resulting from the breach of the barrier lake. The Drichu river was hit by two successive landslides, one on Oct 11 and another on Nov 3 near each other, resulting in the formation of barrier lakes near Jomda’s Polu (Bolo) Township. The first barrier lake was breached without resulting in a flood before the second landslide occurred. On the river’s Sichuan side, the most affected area was stated to be Jinsha Township where some 9,200 people were previously reported to have been evacuated and a farmhouse and a suspension bridge submerged by the barrier lake.